How can you tell when a GIS salesman is lying ... ? ... His lips are moving, goes the old joke. An alternative answer at the moment might be that he is explaining to you the reasons for Peter Batty's departure from Intergraph. I have heard from my friends in the Intergraph utility team that competitive salespeople have been telling customers that I left Intergraph because they are pulling out of the utility business, and I just wanted to say that this is complete nonsense. The utility business is one of Intergraph's most profitable areas, and Intergraph has some strong momentum there right now and is very committed to the business. I think that Intergraph is very strongly positioned in the utility market currently. I'll write more about my perspectives on the utility business at some point soon, but I just wanted to try to squash that rumor. I'm in New Orleans for Jazzfest the next few days, so hopefully will not be posting too much until next week! James Fee has an interesting post on "The Day ArcIMS Died", talking about the impact of Arc2Earth Publisher. 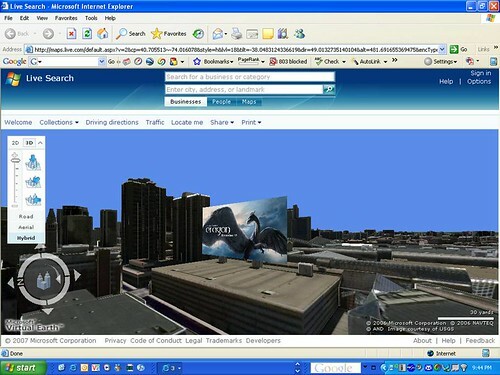 I think that aside from the obvious impacts that Google and Microsoft are having on the geospatial industry, a more subtle one is that they are helping to crack the unswerving devotion that most traditional GIS users have generally had to their selected vendor. Google and Microsoft have such a high profile that it is hard for even the most insular organizations to ignore what they are doing. My hope for the industry is that this will help open people's eyes to the fact that there may well be better solutions out there than their current vendor provides, not just from Google and Microsoft but also from other companies or open source initiatives, so I think we will start to see more organizations selecting software based on its merits, rather than just choosing their incumbent vendor without doing any real evaluation. There was another interesting debate on James' blog a little while ago on the topic of "Are we begining to see a shift away from ESRI Server backend to Open Source solutions? ", and one of the comments there said "I work for a US government agency that is getting ready to send out a RFP for GIS servers that has no ESRI requirement. A first for us". This type of increased competition will only be good for end users. 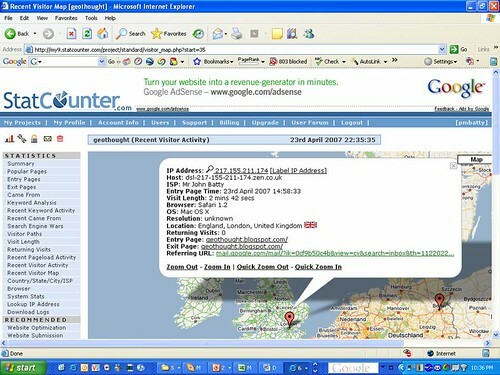 I think that traditional geospatial vendors who do not embrace and leverage what Google and Microsoft are doing, but try to fight them, are fighting a losing battle. Heterogeneous geospatial systems will be much more common than they have in the past. I recently bought two new navigation / LBS (Location Based Service) devices, each with integrated GPS and wireless communications. One cost $299.99 (with a 2 year contract), a Blackberry 8800, and the other cost around $27,000, a Toyota Prius. In addition to its LBS capabilities, the Prius also provides functionality to transport you to your chosen location in an environmentally friendly way :). I have been very impressed with both. I have written in the past about the geotechnology in my previous car, an Infiniti FX35, and the navigation system in my Prius provides a significant jump in functionality and ease of use from the (three year old) one in my Infiniti. I'll probably write a more detailed review on this in future, but you can see a few photos of both the Prius and the BlackBerry in action to get an idea. Just like the BlackBerry, the Prius includes integration with a telephone, and the photos show an example where I used my car to track down the nearest Cingular store which had a BlackBerry 8800 in stock, using the integrated dialing features to call the stores in order of distance from my current location. 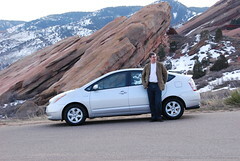 And by the way, the Prius drives really nicely too, and does 45-50 mpg - I highly recommend it! 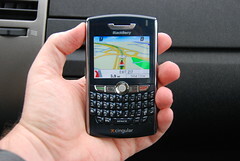 I have also been very impressed by the BlackBerry 8800 so far, and in particular by the telenav application which uses the built in GPS. 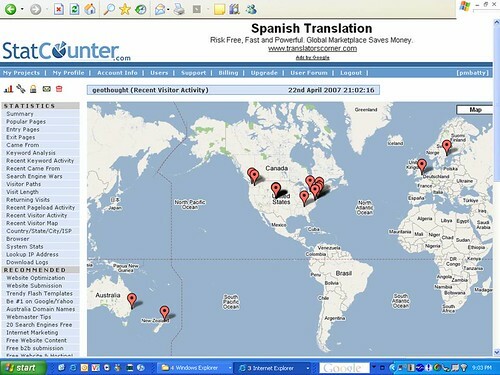 It has rich functionality and a simple user interface. So far I have found the database of businesses to be very complete and up to date. Last week in Huntsville I was going to a baseball game with a group of people from work, and I just searched for "baseball" and it returned not only the Huntsville Stars stadium, which is where I wanted to go, but also the Huntsville Sports Academy (which is a baseball school but does not include baseball in the name), which moved to a new location just three months ago, and telenav showed it at the correct address. When you navigate a route, it automatically downloads information on the route in advance to ensure good performance - though I have found the EDGE wireless network performance to be very good in general. It gives you voice directions which are loud and clear and even says street names (e.g. "Turn left on 20th street"), which most navigation systems don't do. Telenav also offers Telenav Track, a very reasonably priced mobile workforce management system. I plan to look at that in more detail, but I think that this type of device and application could be very disruptive to traditional workforce management systems, which are typically fairly large and complex enterprise software systems. I've been contemplating starting a blog for quite some time, even before Adena at All Points Blog encouraged me to do so over a year ago. But things were pretty hectic in my role as CTO of Intergraph, and I never quite got round to it. But since yesterday was my last day at Intergraph, I thought this was as good a time as any to get things rolling. 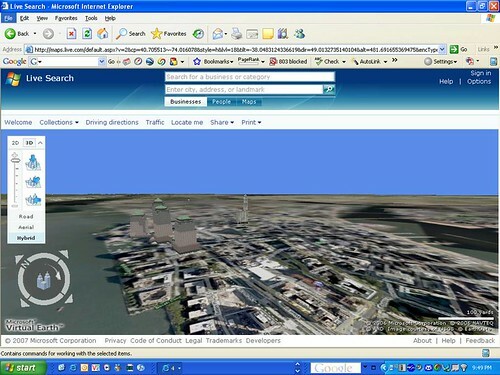 I plan to post my thoughts on the rapidly changing world of geospatial and location technologies. Welcome, and please let me know if you have suggestions for things I should talk about.